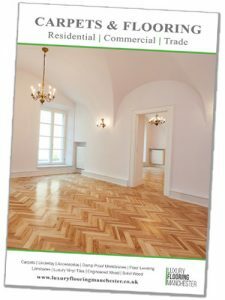 Luxury Flooring Manchester is a family run flooring contractor in Wythenshawe, South Manchester specialising in the supply and fit of residential and commercial flooring. You’ll be pleased to know that here at Luxury Flooring Manchester we’re made up of a great team made up of MD’s, account managers, surveyors, receptionists and of course awesome floor fitters. We handle each and every project with the utmost respect and passion regardless of whether it’s just a straight forward kitchen installation, multiple bespoke homes or commercial property. We have an outstanding customer-focused approach that means if you would like a speedy home a visit from one of our surveyors, you can call us or book an online appointment the very same day. Our accounts department usually prepare quotation/s within hours and offer an express service. For you this means we can often start preparing and installing your new floor within days. Our commitment to exceptional service and customer satisfaction has helped us grow and develop our famous 5-star reputation. Our combined knowledge of flooring unsurpassed. We do not employ pushy sales people who work on commission we just offer a simple, independent, helpful and friendly service for all. As an independent retailer we offer better value than many large high street retail chains because we have a large warehouse allowing us to buy in bulk. This allows us to offer unrivalled value on our flooring lines and subfloor preparation materials. Because of our lower overheads and smaller margin expectations we guarantee to beat any like for like quote! We only supply carefully selected flooring that will be installed by our professional fitters who meticulously adhere to manufacturer’s installation guidelines to ensure that your floor lasts for years to come. Following your installation you will be provided with a sign off form, an aftercare pack, product and installation warranty. Our clients include Dobiere Pub Group, Goodman & Gale Properties, Edward Mellor Estate Agents, Blink Building Services and reputed designers throughout the Northwest of England. We are also rather proud of the many celebrities & sports personalities who come to us for their flooring & installation requirements. Whether you need new flooring for your home, a new development or commercial premises, Luxury Flooring Manchester will have the perfect solution for your needs. Ready to speak to a friendly advisor?